Tea with a mixture of apricot sorbed served cold can be the best drink during the day. Serve for loyal customers. 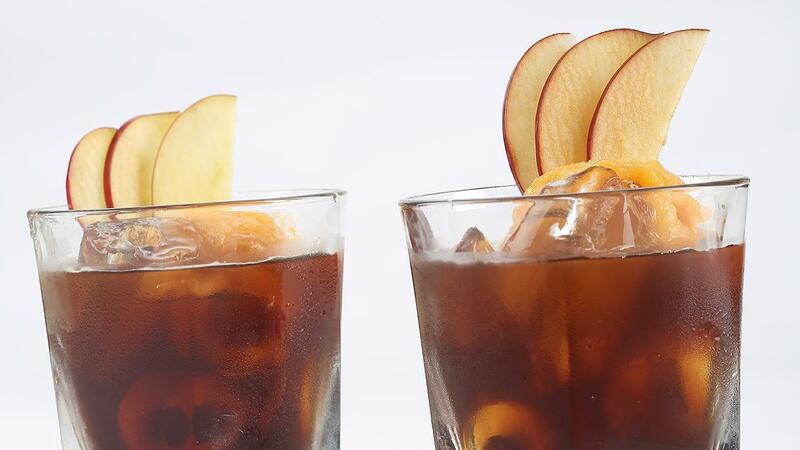 Pour tea directly into chilled old fashioned glass filled with ice cube. Pour 1 scope of apricot sorbet on the top. Garnish with thin sliced apple.